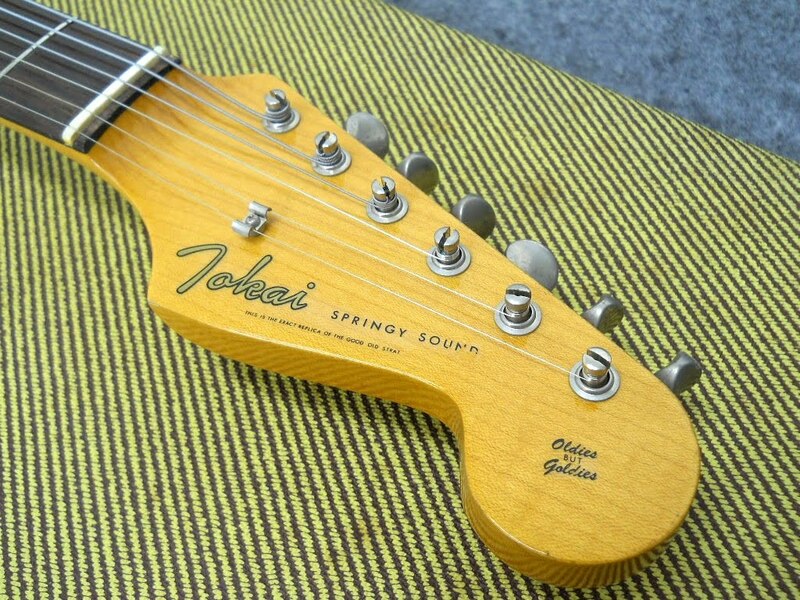 We're always keepin' an eye out for Springy Sound action at eBay. Most are listed by Japan based sellers, so you'll just have to get used to it. 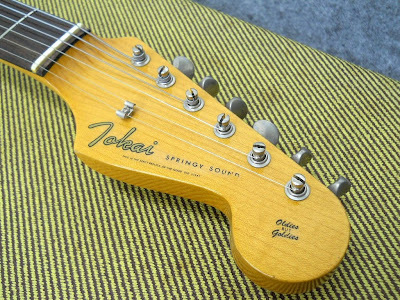 These are also usually the best looking & condition Tokai SS's. 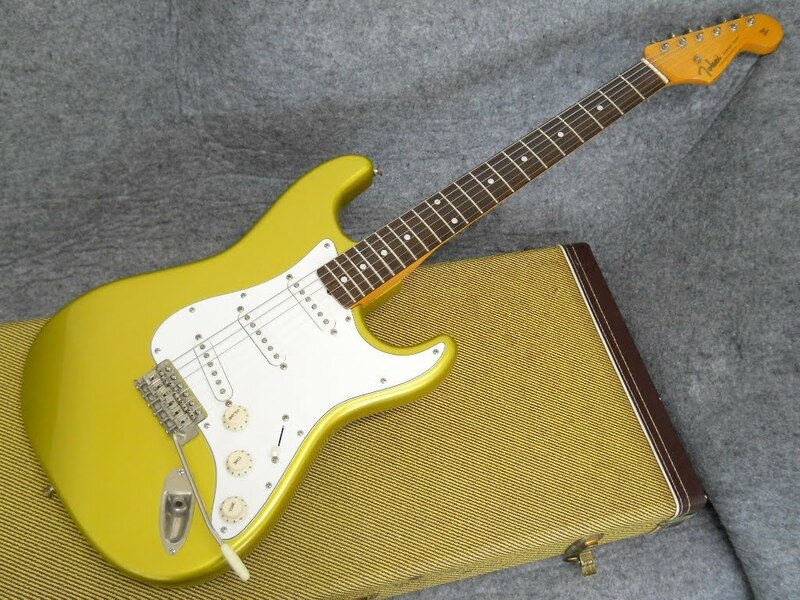 This vintage gold nitro "E Stamp"* looks very clean, and includes the tweed case. Oh yeah, a "V" neck too! The listing includes plenty of details, specs and good photos including some dissection pics. 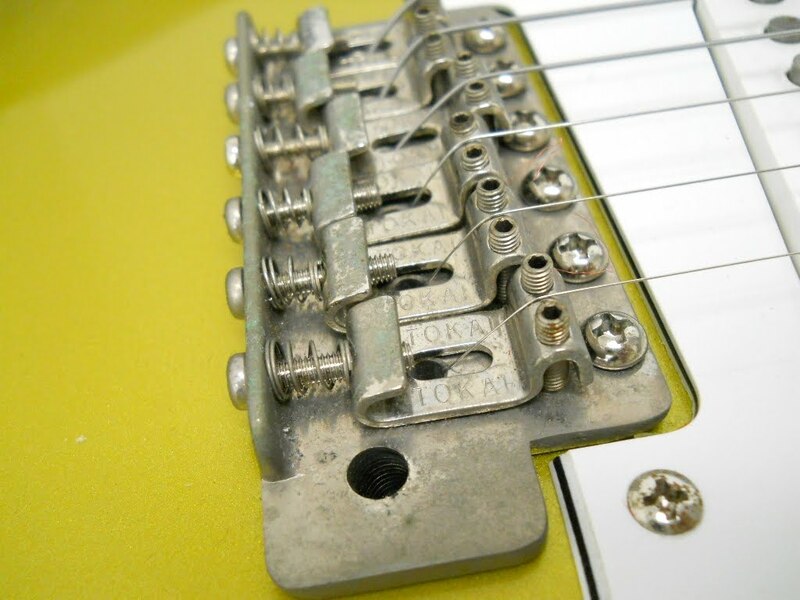 Seller has lots of other hi-end inventory and good track record. 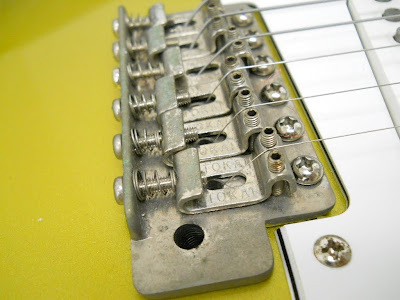 Including SRV story, complete headstock script & registry site links.